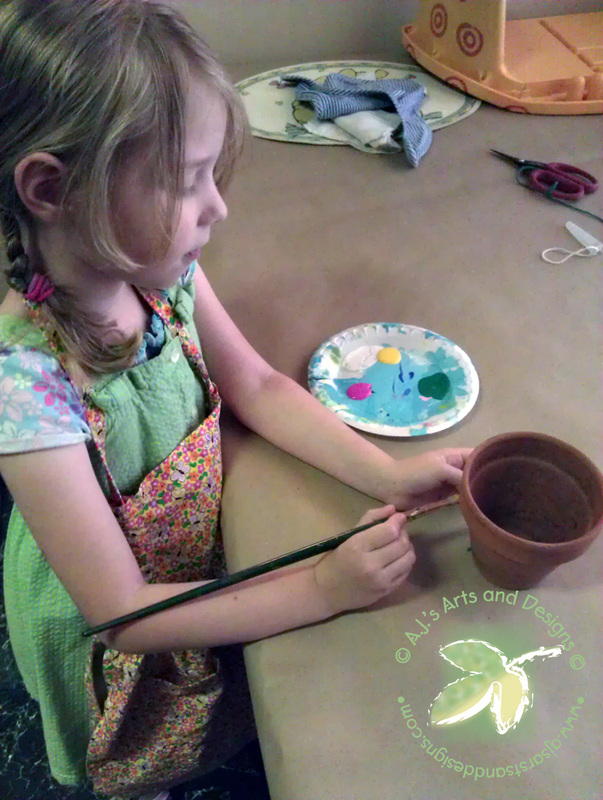 Spring Break Project Day 1 – Painting Clay Pots | Who Are You Calling Crafty? 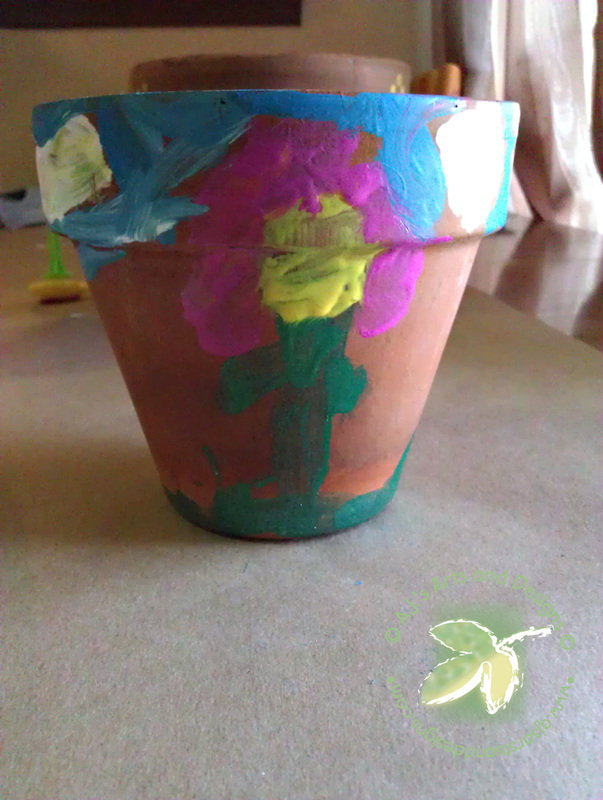 Yesterday I decided to let the kids paint (I blame the Sudaphed) I covered the table and figured why not. 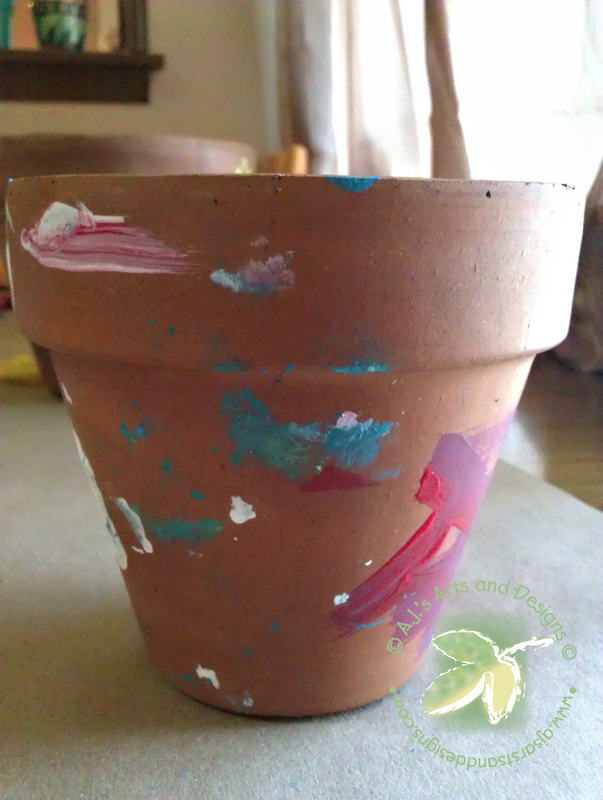 I went out to the garage and found some Terra Cotta Pots one for each child and decided to let them at the pots with the paint. They were both extremely happy that I let the paint and left the table covered with paper so more projects can happen this week. I also have to fantastic Keepsakes now and once I seal them I can put them outdoors. Paint – We use PLAID® Paints (a variety they named a color and I pulled it out) and I am going to seal the with the PLAID Outdoor Sealer. Prepare work station (for Booga took the shirt off). Paint shirt or an apron for the Princess. 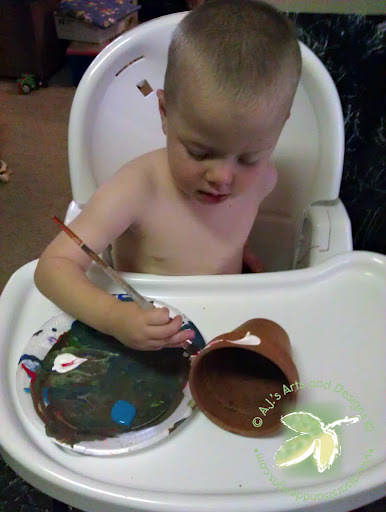 Prepare bath water for the smaller child before you start (there will be less paint in places it should not be this way.) Let them have fun (I know mine did!) I will take pictures once I get flowers in them too. 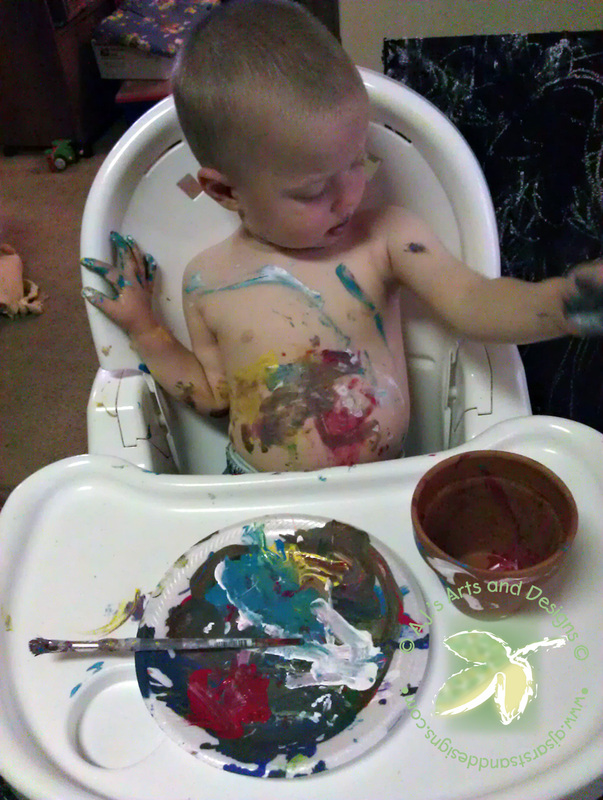 Booga got tired of painting the pot and decided painting his tummy was so much better.